Chromium is the only nutrient I supplement, and I do so with a considerable amount of reluctance, knowing that there are risks associated with attempting to meet our nutritional needs through pills. In this article I'll tell you what chromium does in our bodies, how I came to supplement my intake, and why I think a minority of raw foodists may benefit from doing the same. From a very early age I've had intermittent insomnia, but the problem did seem to become more frequent on a low fat raw vegan diet. However, considering that I was busying recovering from colitis, that the problem seemed to come and go, and that I was really enjoying the many benefits of being raw, it wasn't something at the forefront my my mind. But over the years I've noticed a few other raw foodists mentioning the same complaint, and several of my coaching clients have mentioned it to me as well. I developed a few techniques which helped the issue, which I passed on to them and wrote about extensively, but nothing seemed to work with everyone, and I'm not one to accept unanswered questions. 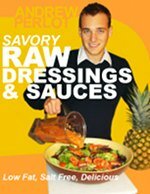 I began bringing it up with a few nutritionists and raw food experts. Many tried to insist it was stress, poor sleep habits, lack of sun exposure, that I needed to consume more calories (enough to cause weight gain) or that I was deficient in protein. Although I agree that lifestyle issues are critically important, and that there's significant evidence that sun exposure has a tranquilizing effect, I've got these areas buttoned down. I also find the suggestion that one should overconsume calories ridiculous. The only nutritional suggestion I felt might have scientifically-supportable merit was a theoretical protein issue, even though I experienced none of the other signs of a lack of protein, and was in fact able to gain muscle easily. But even tripling my protein intake by massively upping my intake of greens failed to bring about any improvement. Annoyed by the ideologically-driven answers I was getting, I decided to do what I've done through much of my life when confronted by health problems and find my own answer. The more exercise I did, the more likely I was to have insomnia, even if I ate a body-weight-maintenance level of calories. I once ran 34 miles and couldn't sleep for about 38 hours afterwards. Running a caloric deficit, even a small one like 100-200 calories, made it more likely that I would have insomnia. If I had insomnia, eating more calories than my body required for weight maintenance often helped me to fall asleep, but this practice could cause weight gain problems due to the extra calories, and did not remove the underlying cause. I began searching nutrition textbooks and studies for nutrients that might explain these clues, and after much searching I found that chromium seemed to fit the bill. I was already eating tons of what should have been chromium-rich foods like lettuce and tomatoes, so supplementing with more dietary chromium didn't look promising. I started supplementing one morning with a 200 mcg pill after a nearly-sleepless night, and by the end of the afternoon I was feeling unusually drowsy. I have since experienced a 95% reduction in my insomnia. Since I began to supplement I've been able to do tons of exercise and run a sizable caloric deficit without any insomnia problems. My sleep is also much deeper. I've had sleep problems since I was a child, and I don't think I've ever slept so well. One other interesting side effect is that I find myself more satisfied by my meals. After experimenting a bit with chromium, I began suggesting supplementation to three of my coaching clients who had similar sleep problems, and all have reported back to me that they saw a very quick improvement. What Does Chromium Picolinate Do? 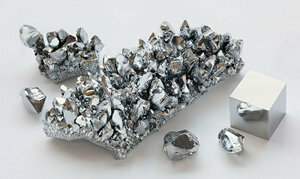 The mineral Chromium is the subject of ongoing study, but exactly how it interacts with the body is not well understood. The primary avenue of study has been in regards to its known ability to enhance the effect of insulin (1), which plays into the metabolism of carbohydrates, proteins, and fats (2, 3). Studies have demonstrated the inducing chromium deficiency in animals causes problems with blood sugar metabolism, so researchers have conducted multiple studies supplementing the chromium intake of diabetic patients. Interestingly, though, most studies of American and European diabetics have shown no benefit, and chromium's ability to improve diabetes symptoms remains controversial (6). This is a topic we'll delve into later. The more exercise you do, the more chromium you use up and excrete (4), which may explain why the more exercise I did, the less sleep I was getting. Chromium levels in our food vary greatly, with many nutritionists suggesting fortified processed food to obtain a sufficient intake. The amount found in fresh produce varies depending on the amount of chromium in the soil and factors like when the food was picked in its ripening process and the state of minerals setting in the food (5). Insufficient chromium intake is not considered unusual in the general population, with even diets considered "balanced" being insufficient in some cases (5). This is not likely a vegan vs omnivore issue, as levels of chromium in animal products is low (5). My guess would be that it's more an issue of fortified vs nonfortified, or, in other words, that our farms are largely lacking chromium in their soils, so some people may be in need of outside supplementation. Diets deriving a large amount of their calories from simple sugars seem to require more chromium, and increase chromium loss in the urine (7). This seems to indicate the people on low fat raw food diets would require more. It's worth noting that the study I'm citing here used processed simple sugars, but there's no reason to think the same wouldn't apply for whole fruits and vegetables rich in simple sugars as well. Why Does Chromium Improve Sleep Quality? I want to be clear that I'm aware of no studies showing a correlation between sleep quality and chromium intake. However, I see two possible interactions which informed my decision to try chromium picolinate supplementation in the first place. First, a study on rats found that chromium supplementation increased the uptake of tryptophan in the brain (8) and therefore likely increases the production of serotonin and melatonin, which regulate the sleep/wake cycle. Second, carbohydrate-rich meals are known to increase the levels of tryptophan in the blood, which increases the amount available for uptake into the brain (10). But I wonder if this mechanism is impaired by a chromium deficiency, which seems to impair carbohydrate metabolism. This also makes me wonder about the fact that an extra meal consisting of more calories than I required for weight maintenance consumed when I was suffering with insomnia could sometimes cause me to fall asleep. Perhaps because the process was impaired by a lack of chromium I needed more carbohydrates to trigger the same tryptophan response. Why Does Chromium Help With Indigestion Or "Melon Belly" On A Raw Food Diet? 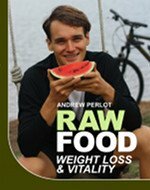 Some people trying raw food diets experience poor digestion, sometimes called "melon belly", or a disconnected/ head sugar rush feeling. In many of these cases, this is caused by poor food combining, a previously-consumed hard-to-digest cooked meal interacting with fruit in the intestines or stomach, or is a short-term feeling resulting from the switch from a high sodium to a low sodium diet. For most people, these problems are transitory, but for others specific fruits, particularly water-rich ones like watermelons and grapes, will continue to cause them problems while others do no. I've personally never experienced these problems, and I do not pretend to understand the specific mechanism at play that allows some fruits to be easily digested while allowing others to cause problems. But after satisfying myself that I was indeed experiencing longer-term sleep improvements, I began mentioning my supplementing to raw food friends and acquaintances. One mentioned to me that the raw food teacher Don Bennett suggests those suffering from melon belly start supplementing with chromium. This makes some sense, as impaired carb metabolism brought about by insufficient chromium intake might be one way of explaining the phenomenon. I've since suggested supplementation to two of my clients who have never been able to handle watermelon without getting melon belly. I talked to one of them on day three of supplementing and watermelon was still bothering her. On day eight, however, she emailed me to say that she was eating watermelon with no problem. The question this raises is why someone like me might have insufficient chromium intake and experience insomnia but have perfect digestion while someone else might have no insomnia while experiencing digestion problems. But Shouldn't A Healthy Diet Not Require Supplements? If a diet of raw fruits, vegetables, nuts, and seeds is really ideal for us, shouldn't we never need to supplement? If we were really eating ideal food, I think the answer would be yes. I don't know about you, but my food is far from ideal. Much of my food is raised on industrial-scale farms with degraded soil and little mineral content. Much of it is not organic, and it is most certainly picked before it has ripened on the vine, which means that some of its mineral content has never set inside of it. 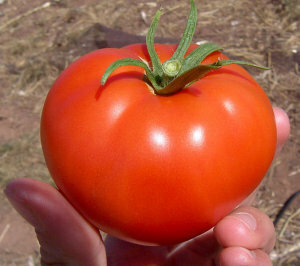 The only part of my diet I'd be willing to bet on is what I grow in my own garden, and sadly, this makes up a minor part of my diet for just a slice of the year. I find it telling that in the west, where people are eating processed foods fortified with chromium, diabetics do not seem to experience a large improvement from chromium supplementation, but in China, where there is much less fortified food available, there appears to be a considerable improvement (12). Perhaps it is the fortified food providing enough for people, but with that removed, we are reliant on whole foods grown in deficient soils, which cannot meet our needs. Additionally, it's well understood that some people do not uptake, utilize, and synthesize nutrients as well as others. For instance, humans are fully capable of converting ALA to DHA, but a minority of the population does so very inefficiently. And in my case specifically, after years of colitis there's a chance that significant amounts of scar tissue may be impairing nutrient absorption in my intestines. I don't really know, but supplementing seems to work, and I generally don't put ideology before proven results. Who Should Supplement With Chromium Picolinate? It seems that only a minority of raw foodists experience insomnia or melon belly, but those who persistently do may find supplementation with chromium picolinate beneficial. Among those who really are deficient, a few days of supplementing is likely enough to improve sleep quality, and after talking to a dozen people who have used it to reverse melon belly, the consensus seems to be that it brings about improvement in less than two weeks. If you do not see improvements inside a month, it's likely that you were never chromium deficient to begin with. How Do You Know If You're Chromium Deficient, And How Much Do You Need? Unfortunately, our bodies do not have any sort of chromium enzyme or other marker to assess chromium status, so there's good way to determine how much we have on hand (10). The only way to test for deficiency is by addressing perceived symptoms with a supplement or increased food intake. If the symptoms go away, you were probably deficient. How much should you be taking in? The National Academy Of Science gives and estimate safe and adequate daily dietary intake range of 50 to 200 mcg for adults (11). I theoretically meet this range eating a raw food diet, but still experienced sleep problems. Supplementing with 200 mcg of chromium picolinate daily seems to have gotten rid of my sleep problems. In the future I plan to track down a smaller dose and see if I can make do with less. The NAOS has not set an upper intake limit due to lack of proven problems resulting from high intake (10), but I know of no good reason to supplement beyond 200 mcg, and it's probably a good idea to not go above this level. There are numerous types of chromium supplements. Chromium picolinate seems to have the best track record, so I'd stick with that. Want to know how chromium picolinate fits in with our other nutrient requirements on a raw food diet? Check out this article. Check out some interesting fruit nutrition facts. The sources for this article on chromium picolinate can be found on this page.